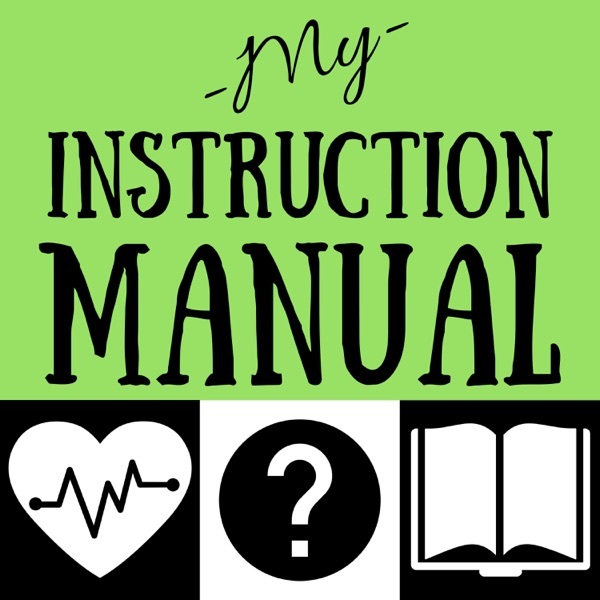 My Instruction Manual | Listen Free on Castbox. experts in fitness, nutrition, mindfulness, and much more. We all want to live better lives. In this special episode, host Keith McArthur brings back 10 of his favorite guests and asks them to share the most important life lesson they've ever learned. Feedback / Connect: Subscribe to My Instruction Manual on Apple Podcasts, Google Podcasts, Spotify and anywhere else great podcast are found Visit MyInstructionManual.com for shownotes, more great content and to sign up the email newsletter Email: keith@myinstructionmanual.com Keith on Twitter: @KeithMcArthur Join our Facebook page and our Self-Help Book Club on Facebook Find us on Pinterest, Instagram and YouTube Download a free copy of 18 Steps to Own Your Life by clicking HERE Purchase Winning Resolutions HERE Episode 63 Show Notes [00:00] Welcome and Intro [1:35] Cait Flanders: Don't be Afraid to Fail Cait Flanders is the author of The Year of Less: How I Stopped Shopping, Gave Away My Belongings, and Discovered Life is Worth More than Anything You Can Buy in a Store Cait also appears in Episode 62. Listen here. [4:51] Kristen Meinzer: Forgiveness is overrated Kristen is co-host of the By the Book podcast. Kristen works full-time in the podcast industry as a producer and host. Kristen also appears in Episode 45. Listen here. [8:19] Chris Browning: Bad things get better when you talk about them Chris Browning is the California-based accountant behind the popular Popcorn Finance podcast. He launched the podcast after he and his wife got out from under $27,000 in debt Chris also appears in Episode 41. Listen here. [11:54 ] Gretchen Rubin: The biggest failures teach the biggest lessons Gretchen Rubin is New York Times bestselling author of multiple books including The Happiness Project, Better Than Before, and The Four Tendencies. Gretchen also appears in Episodes 50 and 51. Listen here and here. [13:49] Laura Vanderkam: Hard work pays off Laura is author of several productivity and time management books. Her most recent book is Off the Clock: Feel Less Busy While Getting More Done. Her TED Talk on how to gain control of your free time has been viewed more than 10-million times. Laura is also the co-host of the Best of Both Worlds podcast. Laura also appears in Episode 44. Listen here. [18:00] Shawn Francis: Hold yourself accountable Shaun Francis is author of Eat Move Think: The Path to a Healthier, Stronger, Happier You. He is the CEO of Medcan, a Toronto-based company that provides holistic health services. Shawn also appears in Episode 42. Listen here. [21:45] Kerry Rowett: Trust Yourself Kerry is author of Align + Attract: Align Your Energy to Create a Business You Actually Love. She is a Holistic Kinesiologist living in Adelade, Australia. Kerry also appears in Episode 46. Listen here. [24:40] Mark Hamade: Don't be happy with second best Mark Hamade is a fitness enthusiast, an entrepreneur, a business coach, a Lebanese immigrant, a former Marine, and a cancer survivor. He set a resolution to lose more than 200 pounds. Mark also appears in Episode 58. Listen here. [26:55] Kathleen Trotter: Movement is non-negotiable Kathleen Trotter is author of Finding Your Fit and Your Fittest Future Self. She is My Instruction Manual's regular fitness contributor, and a Toronto-based personal trainer with a degree in exercise science. Kathleen also appears in Episode 61. Listen here. [32:00] Allison Melody: The body is designed to heal itself Allison Melody is host of the Food Heals podcast. By her 25th birthday, Allison lost both her parents to cancer. This led her to explore non-traditional healing methods, including nutrition. Allison also appears in Episode 43. Listen here.